I Am is my favorite name for God. To me it means that God is who and what God is regardless of our perceptions. That means that while we may see God as loving, vengeful, neglectful, micro-managing, or compassionate, that doesn't necessarily mean those things are what God is. God just is, and God never changes. And that is so comforting to me. I'm in the process of reading I Am: A 60-Day Journey to Knowing Who You Are Because of Who He Is by Michele Cushatt. Ms. Cushatt's assertion is that we can know who we are, based on who God is and what God knows and says about us. The book is divided into six sections, each with 10 short, 3-5 page chapters. Each chapter begins with a title and a short Bible passage pertaining to that title, followed by a relevant story from the author's life. Each chapter also includes a pertinent quote, and a one paragraph section titled "Who Am I?" which draws the reader deeper into the topic. I really like this book. It is just what I need: a daily reminder that I am precious and loved, and that I am enough. Each new chapter confirms what I know to be true: I am valuable, not because of anything I have said or done or thought, but just because God says I am. Moses asks who am I, and God responds, "I AM." It doesn't matter, really, who we are. What matters is that God is. What matters is who God says we are. And what we are according to God is the subject of this book. We are loved, we are known, we are accepted, we are filled, we are forgiven, we are enough. I received this book for free through Book Look Bloggers in exchange for my honest review. 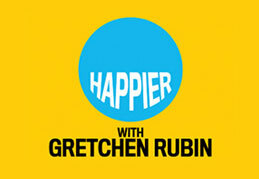 I like to listen to podcasts while I'm cooking and doing housework, and one of my favorites is Happier with Gretchen Rubin. On one of the recent podcasts (click here to listen), she urged her listeners to be kind to their future selves. What this means is to do something today that will make your future self happier or make her life easier. So that could look like eating right and exercising today to avoid a host of medical problems years from now, or it could look like setting out your clothes for the next day the night before to avoid rushing in the morning. It could look like putting things away where they belong so they're easy to find, or taking care of tools and equipment so they last longer. 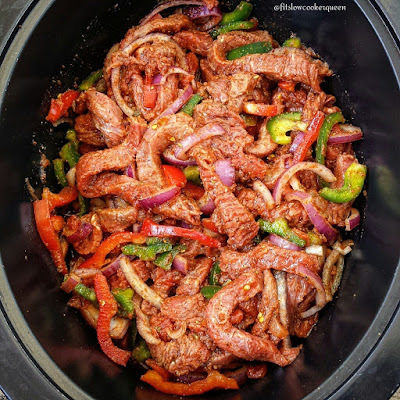 For me personally, this looks like rinsing out the kitchen sink right away when I pour something in the garbage disposal, because it's so much easier to get the sink clean when the food is not dry and crusty. I know that I will be happier later, when I don't have to scrub a crusty, dried-on mess. It also looks like putting the toilet seat up or the lid down after I use the toilet in our hallway bathroom, because our boys can't be bothered to put the seat up before they use it. I know that I will be much, much happier later when I don't have to wipe off the seat, or worse, sit down before realizing that the seat is wet*. But mostly, being kind to my future self means keeping on top of small, everyday tasks that don't take long to accomplish, like washing the dishes each evening. Whenever I don't feel like doing whatever it is, I remind myself that my future self will really appreciate that my current self accomplished that task. Try it. How can you be kind to your future self today? Speaking of toilets, long time readers will be happy to know that we have replaced that toilet, and the new one works phenomenally. The problem is, now we have a toilet in our garage, and Hubby is determined to use it for...something. Maybe even more than one something. He's talking about using toilet parts in our chicken coop. Oh yes. 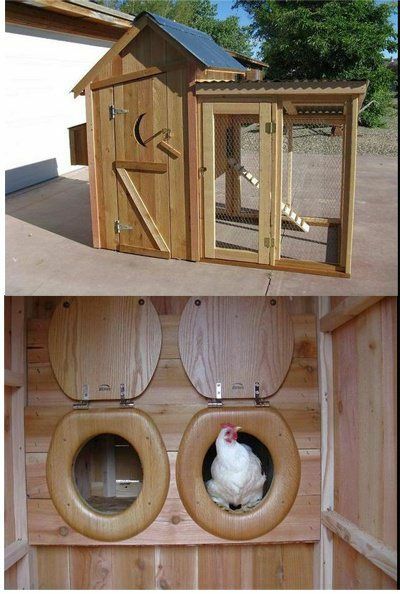 He's going to turn the tank into a waterer, and he's going to use the seat for the chicken (pop) door. For all I know, he's going to try to figure out how to turn the bowl into a feeder. Speaking of chicken coops, Hubby has fallen down the rabbit hole known as chicken coop design. He's spending hours watching videos and consulting plans and taking measurements. He's talking about how we can scrounge materials and use scraps we already have on hand (like toilet parts). He's learning about what chickens need for their physical environment. And he's enjoying it. This coop might be here much sooner than we thought. I failed to realize just how much Hubby would enjoy the planning and building process. It was so considerate of me to provide him with this task that will enable him to do some of the things he is good at and enjoys, and it's so considerate of him to put his unique talents to work making something that will make me happy. Thank you, Hubby. Speaking of growing our own food, I think I'm going to pull the taps this weekend. We did get a little more sap yesterday, probably about a gallon, and we're expecting temps to go slightly below freezing again today and tomorrow, but then looking at the forecast, I think we're done. There are buds on the trees, and with all this warmth, it's only a matter of time before they pop open and the sap stays where it is. I love the whole syrup-making process, so I am a little sad to see it end, but I am satisfied with our yield, and I know that it will be used. And...I think that's all for now. * You may wonder why I choose to put the seat up or the lid down instead of insisting that my children put the seat up, then down. Believe me, my friends, I have tried. And I have decided that it will make me much happier to release that expectation than it will to continue to try to uphold it. And yes, I do occasionally apologize under my breath to my future daughters in law. I promise I will strongly encourage those boys to install urinals in their future homes. 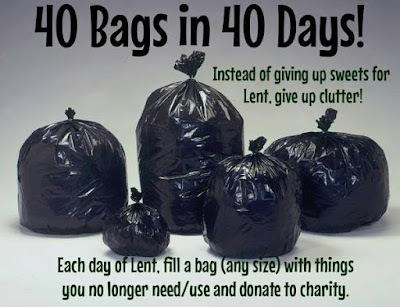 As I mentioned in this post, I've committed, during the season of Lent, to finding 10 things a day, Monday through Friday, to get rid of. Here's how I'm doing. 7 tubes of decorating icing--some of these tubes were clear, and the contents had separated, so I assumed they were all separated. 4 plastic cake decorating tips--I replaced these with metal tips several years ago, but never got rid of these. a bunch of mini-muffin liners that were flat--I rarely use liners in my mini-muffin cups, and these wouldn't have fit anymore anyway. 5th grade reading workbook--I think everyone is beyond 5th grade level now. 2 vacuum tools and a vacuum bag that don't fit our current vacuum. 2 free samples--I never wanted these in the first place, but the sample site I requested them through wouldn't allow me to request just the one sample I wanted. 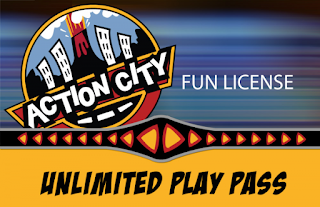 It made me sign up for all three in order to get that one. On Thursday, I noticed that our dead CFL box was full, so on Friday, I took those to be recycled. Check with home improvement and hardware stores in your area to see if they accept these. Total number of items: 17 burned out compact fluorescent lightbulbs. I was thrilled when our one of our friends from West Virginia, Leigh Fleming, sent me a pre-release copy of her new book: Whatever You Say: A Highland Springs Romance. Whatever You Say is the second in Leigh's Whatever series, and will be released one week from today, on April 4. The first in the series is Whatever You Call Me, published last year, and the third, Whatever We Are is anticipated to be released later this year (Mrs. Fleming has been busy and productive, my friends. Click here to sign up for Leigh's newsletter). While this book is part of a series, it definitely stands on its own, taking a minor character, Kate McNamara, from Whatever You Call Me, and exploring her story. Kate is an ambitious young attorney, aspiring to be the best, and fighting for a deserved promotion to senior associate, when she hears the news that her grandmother has broken her leg. Kate rushes to Highland Springs to help her grandmother recover, all while trying to keep up with her heavy case-load back in Washington, D.C. Kate is the quintessential young professional, who is too busy focusing on her career to even think about love. Of course, this is a romance, so we need a handsome and slightly mysterious love interest for Kate: enter Brody, a successful songwriter, who has given up his music writing career and returned home to Highland Springs, where he delivers firewood to little old ladies and serves on the community center board. Our heroine, driven career woman Kate, just can't figure Brody out, but as she gets to know him better her intrigue increases until she can't resist. I really liked this book. The characters were unique, likable, and memorable, but most of all, real. They were multifaceted: human and flawed, but also wonderful--I found myself really falling in love with Kate and Brody, and rooting for them. The story was well planned and executed, and while I pretty much guessed how the book would end (spoiler alert--it's a romance. It's practically required that there be a happy ending), I had to keep reading to see how the story got there. No, seriously. I had to keep reading. I finished the book in a day and a half. Yup, it was that good. On a personal note, I loved the setting in wild, wonderful West Virginia--Leigh's descriptions of rural West Virginia were so poignant and beautiful, and it brought back great memories. And I really loved how Leigh incorporated names of her friends and family, many of whom I know personally, into the book (feel free to write me into your next one, Leigh :-) ). Bottom line: a fun, lighthearted, can't-put-it-down read--perfect for the beach or cabin. Book candy. Thanks so much for inviting me to read your book, Leigh! I am really looking forward to reading Whatever We Are, and wish you the best. Hi everyone. So we tried the Trader Joe's Mandarin Chicken last week, and it was pretty good. Two of us loved it, one of us liked it, if there wasn't too much sauce, one thought it was ok, and the other prefered the chicken tenders from Aldi (I think he would have liked it if it had no sauce, and since the sauce is packaged separately, that would have been doable). Of course now I'm kind of afraid to try any of the other frozen entrees from TJ's, because Mandarin Chicken is supposedly the best they have. I probably should have started with not-the-best. Oh well. I think the sap season is just about over. I'm seeing just 3 days in the 15 day forecast that are predicted to fall below freezing, and those are all just below. I've got three more gallons of sap ready to go, but I'm going to wait and see on those few days before I cook it. Whether or not we get more, I'm happy with this year's syrup production, at just over 2 quarts. That's enough to give some away and still have some for me to use. So...I guess I have to start pulling out all those maple-syrup-sweetened recipes. They're baaaaack! Well, maybe not--only one dream this week, but it was definitely crazy. For your reading pleasure, I present: this week's crazy dream. 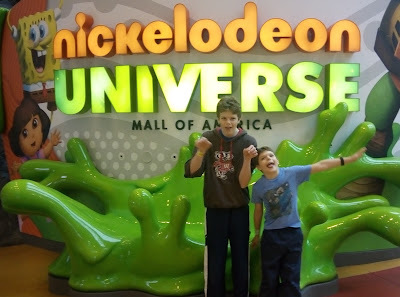 I brought Hubby along with me on a mystery shopping assignment and it was going poorly. I was supposed to interact with four different employees in four different departments, but there were only two employees on the sales floor. Even if there had been more, because of the small size of the store, it would have been extremely awkward for me to try to engage with four different people. Just when I was thinking there was no way I could complete this assignment, I noticed 4 or 5 employees congregating near the back of the store. As I made my way over, more people kept joining the meeting until there were 9 or 10 of them. Where had these people been hiding?! When I was close enough to hear, they opened the door and stormed out angrily because they had all been fired. Yup, all of them, which left this tall, pale, creepy looking guy who had missed a spot shaving as the lone employee/owner. As Hubby and I left, me contemplating how I was going to write about that in my report, Chef Robert Irvine of Restaurant Impossible burst in to save the day. I stepped in a puddle and saw the swarm of fired-employees on and around a red convertible in the parking lot, and they started singing, Grease-style. I finished another 2 half pints of syrup the other day. This is the first time that I've actually been able to keep accurate count of the number of gallons of sap I've cooked--always before it's been a best guess estimate. So this time, I cooked 6 gallons of sap to yield about 2 cups of syrup. Using that ratio, it would take around 48 gallons of sap to yield one gallon of syrup. Not that we're going to make one gallon. Nope. I promised. Only 2 3 quarts. In other news, I've finally convinced myself that yes, I do want chickens, and yes, I'm willing to deal with all of the stuff that goes along with having chickens. And by stuff, I mean more than chicken poop. To that end, I've begun frequenting chicken keeping supply stores to get a feel for what kind of equipment I might want. It was during one of those forays that I discovered that one can buy empty cardboard egg cartons at stores that sell chicken supplies. The cost at my local store? Forty-five cents each. I bought a filled-up-with-eggs cardboard egg carton at my local discount grocery store for fifty-three cents the other day. I just...um...I'm saving my egg cartons. Now, just because I am willing to deal with all the stuff, including poop, that goes along with having chickens, does not mean that Hubby is. His part is actually pretty simple (but time consuming), and mostly on the front end: building the coop. But he doesn't have time to build the coop. Next year, he tells me (or actually, I might have a coop in the fall, ready for chicks next spring). It's a gravity-assisted-harvest bee hive. Because harvesting is the hardest part, in my opinion. Squee! a paper grocery bag of at least 2 dozen pinecones that I was saving for a project. 1) I can get new pinecones if I decide to do the project. It is like they grow on trees, and 2) I had forgotten that they were even there, so if I did decide to do the project, I would have gone out and collected new ones anyway. Y'all know I'm uncluttering my house during Lent, but what I haven't shared is that I'm also uncluttering my email inbox. Like a lot of people, I use my email inbox as sort of a to-do list. Each email in my inbox represents a task I need to accomplish or something I need to remember. Admittedly, this works well for lots of people. For me though? Not so much. 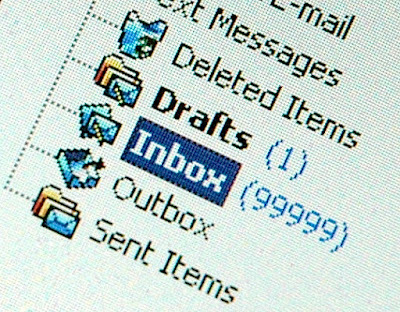 I know folks who routinely keep 100 or more emails in their inboxes. Mine was consistently around 30 or 40, and it was overwhelming. See, the problem is, while each of the emails represents something I need to do or remember, it's not always readily apparent from the subject just what that is. So in order to access my "to-do" list, I need to read the emails. When there are 30 to 40 emails to sift through, and I need to read each of them every time I want to figure out why I'm saving each one, and if I still need to save it, that wastes a lot of time. And then there was the constant low-level anxiety because I was always afraid I was forgetting about something--I would lose important emails in the noise of dozens of less important ones. So I set a goal to keep my email inbox to 5 or fewer read emails. Remember that guy, who is probably a professional at something? You know, the one who says if a task will take you 2 minutes or less you should do it right away? Yeah. I'm doing that now, at least with regard to my email inbox. So now, if I get an email that tells me the date for something, I put it on my calendar and delete the email. Right then. If I get an email receipt for an online purchase, or a notice for a bill that's paid automatically, I make a note of the amount, then delete the email, right then--if I need the details, I can look them up online. If I get an email telling me that my order has shipped, I keep it until the package arrives, then delete it. If I get an email from some company that I don't want to hear from, I unsubscribe and delete. Right then. If I get an email, the subject of which I need to discuss with someone, I make a note on our whiteboard that I need to talk to that person, and then I delete the email. Right then. Unless, of course, I need to send a response. If I get an email that I want to be able to refer back to in the future (like travel plans), but that I don't want cluttering my inbox, I will forward the email to myself, changing the subject to something that will remind me what the email is about. My email program is set to automatically save a copy of all sent emails, and then when I need to reference that particular email, I can use the search function to easily find it in my sent folder. It's been working so far, and I am pleased. My inbox has stayed below 5 emails since I started this project. I feel so.much.better not having all of those read emails hanging over my head, taunting me. How about you? How many emails are in your inbox right now? Does that number bother you? Happy spring, everyone! We put away the snowblower yesterday, so I guess we're finally conceding on this supposed winter. It's all good, though. There are so many great reasons to love spring--I'm starting to translate amorphous wishes to specific garden plans (AKD wants cucumbers and sugar snap peas this year... Actually I should probably get started on the peas, since they like cooler weather). And, of course, there's the sap. The only unfortunate thing about spring is the fact that it means the hot is coming. I went to TJ's last week. I had dark chocolate peanut butter cups in my hand, but then I decided to go for something with maybe a little less sugar, and a lot more protein. Every time I've asked my friends or googled, "what should I buy at Trader Joe's," Mandarin Orange Chicken has come up. Every single time. In fact, Mandarin Orange Chicken won favorite overall in Trader Joe's 2016 Customer Choice Awards. So I had to buy it. And we're eating it this week. Let's see if the food lives up to the hype. And I'll just have to try those dark chocolate peanut butter cups next month--they won favorite candy, after all. Hi friends. No crazy dreams for you this week. I am aware of having dreamed this week, but I couldn't remember any of them after waking up (except that I know one of them took place at church), so they must not have been too crazy. I know you're disappointed, but the crazy dreams are definitely cyclical for me, so I'm sure they'll be back. In the meantime, the sap is running again. I guess it's fairly typical to have several distinct sap runs in one season, as the temperatures fluctuate, but since that didn't happen the first time we made syrup, it seems foreign to me. I have to say that, after navigating through my initial surprise, I am enjoying this drawn-out, stop and go sap season. It's nice to be able to take significant breaks in the sap-cooking schedule without having to worry about the sap piling up. As I mentioned, I finished six half pints, plus a little extra, last week (halfway to my goal) and I'm eager to get back to work soon. In other news, Bubby and I went out on Wednesday after school to check the taps, just in case. The temperature Wednesday popped above freezing briefly, so although we didn't think the sap would be running, we wanted to make sure. As we were walking from front to back, somehow the subject of chickens came up, and Bubby made it clear that he really, really wants our family to have chickens. I'm not certain why he wants chickens--I do know he wants a pet, and maybe he's latched on to chickens as the pet most likely to be parent-approved. He even offered to give me all his money so we could get chickens, AND offered to help take care of them, so you know he's serious. As you may know, I occasionally chicken-sit for friends. It's fun and all, and I love hanging with the girls, but I just haven't been ready to get some of my own. After Bubby's announcement, I started doing a little more rigorous research into the costs involved. Once the flock is established, costs are minimal, but start-up is pretty steep. Not as steep as getting, say, a pedigreed dog, but definitely more involved than getting a goldfish. I want a flock of chickens and all of their supplies, including a coop, to drop from the sky, fully formed. I don't want to have to order chicks in the mail and drop everything to pick them up at the post office. I don't want to have to keep them under a heat lamp, worry about them getting sick, or pooping in their food or drowning in their water. I don't want to have to worry about the transition from brooder to coop, or deal with the first weird, malformed eggs. 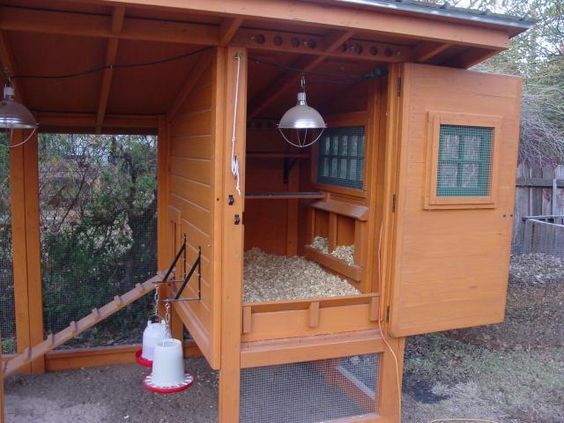 I don't want to have to worry about rodents infesting the coop or predators eating my chickens. I don't want to have to deal with spilled food and frozen water. I don't want to have to decide what to do with the hens when they stop laying. 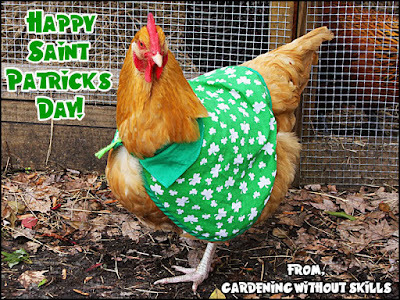 I just want adult hens to magically appear and start laying eggs, and continue to lay eggs in good health until they are taken up into heaven a la Elijah. If I am going to have chickens, I want the universe to super-duper pinky promise me that the experience will be problem-free. I cannot deal with any more yuckiness than what is already present in my world. We seem to be heading that way, toward owning chickens. It seems inevitable that we'll have some someday. I just don't think I'm ready yet. So I remain ambivalent. 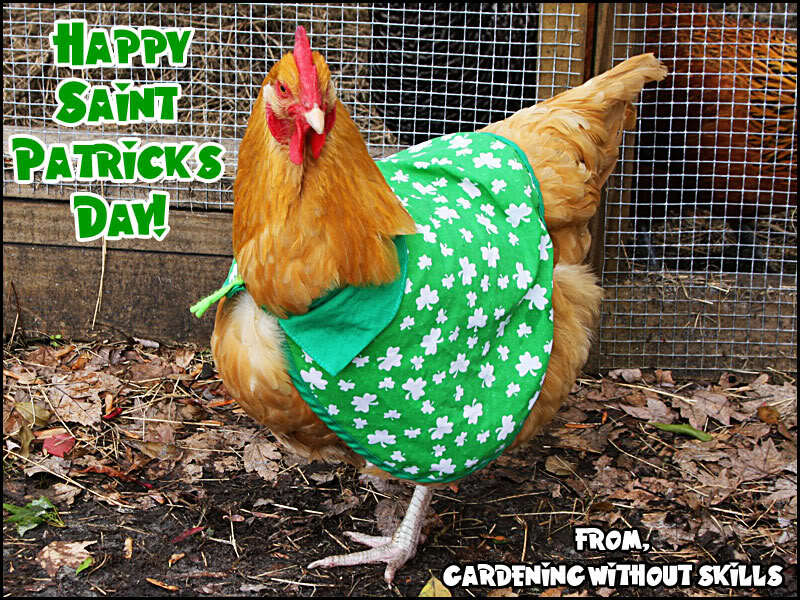 Happy "Everybody's Irish" Day from me, Gardening Without Skills, and this weird caped chicken. On Thursday, I finished some syrup and canned it, which reminded me that I had too many canning rings--they're not supposed to be stored on the jars, so I keep them in a plastic canister. My container was overflowing, so on Friday, I sorted through my canning rings and discarded those that were rusty or dented. Total number of items: 15, and now I have room for all of the remaining rings in their container. about 2 dozen wooden letters that I saved for a project that I am never going to actually do. Last month, Sawblock and AKD went on a kayaking adventure near Veracruz, Mexico. Here's their trip in pictures. AKD is in the red PFD, green boat, yellow paddle. Sawblock is in the blue PFD, white/purple/blue boat, black paddle. Enjoy (and yes, there were definitely don't-tell-mom moments on this trip). As y'all know, it's Lent. For me, Lent is a time to go deeper in my relationship with God, and I do this in a few different ways. This year, I read The Women of Easter: Encounter the Savior with Mary of Bethany, Mary of Nazareth, and Mary Magdalene by Liz Curtis Higgs. This book recounts the story of the days before and following Jesus' crucifixion, paying special attention to the roles played by not just the three Marys, but many women, some named, some not named. Ms. Higgs begins with the resurrection of Lazarus, and continues through Jesus' triumphant entry into Jerusalem, His last supper with his friends, the crucifixion, following through to the resurrection. The book contains eight chapters, each prefaced by and titled based upon a snippet of a hymn. The book also has a brief introduction and a study guide for personal reflection or group discussion. In the book, the author walks the reader through the story, verse by verse, pulling in references from all four Gospels, and using many different translations for emphasis and elaboration. Ms. Higgs' writing style is straight-forward and easy to understand, and I found this to be a quick read. I really liked this book. The story of Jesus' last few weeks is well documented and well known, but I think the roles that women played are often overlooked in the midst of the whole miraculous, grace-filled story. I appreciated this look specifically at the women who were there--the women who remained faithful, even as the men fell away--that's something that I don't often think about, and something that is not often mentioned. Ms. Higgs is adept at making the people of the Bible, who are usually just names to us, come to life in a real and personal way. Bottom line: This easy to read book will give you a meaningful new perspective on the events that occurred surrounding Jesus' death and resurrection. Well, the kids' spring break started off springy, but it went downhill from there, and now it's below freezing and there's snow on the ground. It's been crazy weather this year, for sure. Here are some pics from spring break. It was a fun and (sort of) relaxing week. 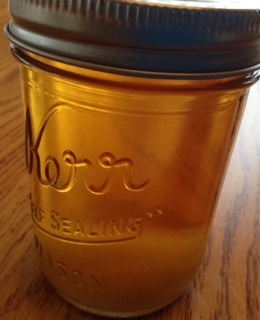 I finished six half pints of syrup on Thursday, after the cold snap halted sap production. It was really nice to finish those off and have a bit of a break from cooking sap--special thanks to the weather for cooperating. I'm thinking we'll have another sap run starting Wednesday or Thursday, and I'm hoping for around another 20 gallons before we're done. Saturday: You know those baby portraits by Anne Geddes? The ones where the babies are dressed like flowers, fruit, or cute animals? And bent at angles that would be impossible for a human adult to attain? And they're usually diaper-less? I was at the hospital because I had another baby (again with the babies), and I posed all of the babies who had been born that day (which was 9) into a question mark. It was super-Anne-Geddes-cute, except their skin was all mottled because they were cold. So I wrapped them all up in colorful fuzzy blankets. Monday: I stood up to someone who had been marginalizing me for years. It felt womderful and horrible, and I was really glad when I woke up and realized it was just a dream. Tuesday: We were at my parents' house, and Bubby needed stitches on his head. I remember thinking, "poor Bubby. Why is it always Bubby?" It was night, and while we were waiting for the doctor to call back (why would we wait instead of just going to the ER? Good question), it became apparent that we had acquired several exotic pets, including a mini hippo and elephant (the size of guinea pigs), two seals, and some exotic fish that we removed from the freezer and were keeping in a pot on the stove (we were NOT cooking them, although the seals did want to eat them). Most of the dream consisted of Hubby and me sitting on the floor while new pets emerged and we fed them. At one point, I remember thinking that we were completely out of vegetables, but then I remembered the romaine, which we then fed to a tortoise. Finally, it was morning, and we headed out to get Bubby's head taken care of. On the way out, we passed a group having a dinner party, which consisted entirely of undercooked baked potatoes, in my parents' dining room. Outside, the neighbor had returned from a fishing trip, so the road turned into a river and slowly drained, leaving dozens of large fish flopping around in the neighbor's driveway. As I explained in my post "Resolved," one of my 2017 goals is to try something new from Trader Joe's each month. And as I explained in my post "Progress on 2017 Goals: January's Trader Joe's Purchase," I wasn't sure if I was going to be able to continue. In February, I decided I needed to get something that I was certain I would like, in order to bolster my confidence, and to uncover the perseverance required to continue on this quest. In February, I chose to purchase Trader Joe's Crunchy Salted Peanut Butter with Flax & Chia Seeds (added bonus: this jar is so.stinkin'.cute). I am a lover of peanut butter, and this peanut butter did not disappoint. The ingredients are simple: just roasted peanuts, chia seeds, flax seeds, and sea salt. When I opened the jar, as is typical with natural peanut butters, a thin layer of peanut oil floated on top, which I stirred back into the peanut butter. Fearing I would have to stir each time I used it, I was pleased to find that with refrigeration, the oil stayed integrated with the peanut butter. The butter tasted intensely of peanuts, as only a simple peanut butter,with no added hydrogenated oils, artificial preservatives, or sugar, can. The texture was stick-to-the-roof-of-your-mouth thick, and just a small amount was sufficient to satisfy my hunger. There were a good amount of peanut chunks sprinkled throughout, and I loved the extra crunch provided by the flax and chia seeds. I enjoyed this peanut butter spread on apple slices and celery sticks, in a homemade peanut butter cup recipe, and on a spoon, straight from the jar. Right at this moment, I am fantasizing about mixing this peanut butter with some of the maple (box elder) syrup that's simmering on my stove (I've got about 16 gallons of sap in, and we're entering a cold (no sap flowing) spell, so I'm planning to finish off my first batch today or tomorrow. I'll let you know how it goes). Mmmmm! So delicious. February's TJ's purchase was a rousing success! I am still a bit leary of this project, but I'm looking forward to my March trip to Trader Joe's. My fabulous Facebook friends came through with scads of suggestions for my next purchases, but I'm fasting from Facebook so I don't have access to those suggestions right now. I guess I'm on my own. Unless, of course, you'd like to leave your favorites in the comments? 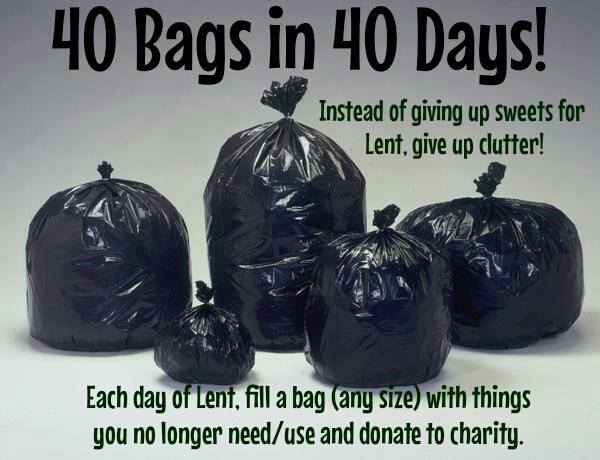 As I mentioned in this post, I've committed, during the season of Lent, to finding 10 things a day, Monday through Friday, to get rid of. Here's how I'm doing so far. Wednesday I took the accumulated cast-offs, that we had already decided to get rid of, but hadn't yet, to the donation center. Total number of items: lots. Thursday I tackled my nightstand. And can I just say? I am shocked I was able to find more than 10 items just in my nightstand. 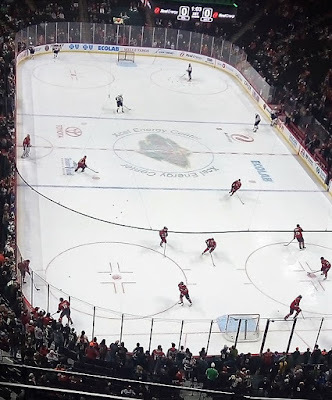 Maybe this goal isn't so far-fetched after all. Total number of items: 12. Three books that I've been needing to review for...um...a couple of years. Monday I decluttered my jewelry box. Except for my wedding ring, I rarely wear jewelry and when I do, it's just one necklace and one bracelet. I saved a few other necklaces due to their sentimental value. Total number of items: 22. 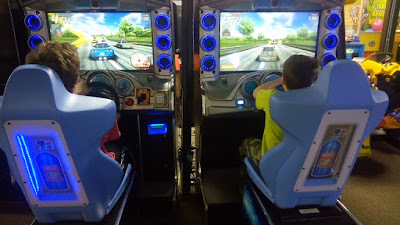 The weather here in our neck of the woods is definitely spring-like, which is fitting, since it's spring break for my kiddos. The spring-y-ness is causing an abundance of sap, which, I suppose, is a good problem to have? Maybe? One of my taps was literally overflowing this morning, which, along with the occurrence of spring break, leads me to regret my decision to not cook sap yesterday. With the exception of Worship, we were home all day yesterday, and it's not like cooking sap is difficult--it's just time consuming. There's not even a whole lot of hands-on effort required--about once an hour, I just need to add sap to the pot; whenever I notice scum, I skim it off. But even though I knew I would have a busy week with more time away from home than usual, I couldn't bring myself to cook sap yesterday. It'll be ok. If I run out of sap collection vessels, the taps will just keep running and I won't be able to collect it, but that's what was going to happen at the end of the season anyway, if sap kept flowing after I finished my two quarts of syrup. I just feel like a jerk, taking the trees' hard-earned sap away from them and not even using it. It's not like we even like these particular trees--they're kind of like weeds to us. It feels disrespectful, though. Anyway! Spring break is upon us, and we've got all sorts of fun plans. Maybe I'll share later, or maybe not. In any case, that's enough gabbing: on to the menu! I was at home with two other people, getting ready to go to a movie. We finally got to the movie, and it turns out we were meeting some of Hubby's family. They had the whole row, but there were only 2 seats available, so I told my companions (I don't think I ever knew who they were, specifically), to sit there, and I found a seat near the back. I got to know my seat-mates, and we had a great time watching the movie together. Then, somehow I was back home, and we were all sitting down to dinner. And then we were all getting ready for bed, and I had to change the baby's diaper (again with the babies. I really need to look up dream symbolism for babies), but I realized I had left the diaper bag at the movie theater, which is strange, because I did not bring the baby to the movie. The baby just materialized at bed time. So someone (my mom? Where did she come from?) called to see if the diaper bag had been found, and Karen said she had it. So then Hubby and I were about to set off for the theater, when his cousin said that she and her family were leaving and gave me a hug. I suddenly remembered that she wanted our rowing machine, so we traipsed down to the basement (the only part of the house that actually looked like ours) to get it. Somehow, the rowing machine had turned from metal to wood, which I found surprising, but kind of shrugged off. We did eventually get back to the theater, and eventually found the diaper bag. Suddenly it was the next morning, and Bubby was late for school. He needed to bring 5 specific stuffed animals from the pile lying next to our driveway. I told him to get to the bus stop, that I would find the stuffed animals. I found three, when all of a sudden the bus was there. Only it wasn't a bus, it was a Volvo, and there were already 8 kids in it. Bubby didn't want to get in because he didn't have the stuffed animals, but he also didn't want to miss the bus, so he was standing in the road in front of the Volvo. I was running up the hill and screaming at him to get out of the road and let one of the other kids take that bus (there was only room for 1), but he wouldn't budge. Bubby and I both got in and the mom started driving. I thought she was going to our house to get the other 2 stuffed animals, but she drove right past. At this point, our surroundings were looking an awful lot like Hwy 9 in Morgan County, WV. I asked her to turn around. She did, and then started telling me about the vacation she and her blended family had just taken to Hawaii. I'm not sure if Bubby ever made it to school. Years ago, I reviewed the first four selections in the inScribed collection, and now I'm back with three more. These Bible studies were written by women for women. They are beautiful paperbacks with striking cover images and nice heavy weight covers, which include flaps that can be used as bookmarks. Just like the first four books in this series, the pages are unevenly cut, which makes these volumes a little difficult to flip through. InScribed is a collection of studies that lead women to not just survive but thrive by encouraging them to immerse themselves in the person of Jesus Christ. In Barren Among the Fruitful: Navigating Infertility with Hope, Wisdom, and Patience, author Amanda Hope Haley shares personal stories, both her own and the stories of other women who have struggled to have children, as well as honest facts about the problem of infertility, to weave a sense of community while leading women who struggle with infertility from confusion to understanding, all with a foundation in scripture. Each chapter is titled with a well-meaning, but thoughtless comment that the author heard during her own seven year struggle with infertility, and includes reflections and facts on that topic, as well as questions for discussion or individual thought. In this inspiring study, Just Rise Up: A Call to Make Jesus Famous, author Sarah Francis Martin explores Psalm 145 to inspire women to do life differently by making Jesus famous in all aspects of life. This book is a call to stop living a life of complacency and to begin living a life of true purpose and praise, rooted in a Kingdom perspective. Ms Martin believes that each of us is designed uniquely, with a part to play in God's plan. Through this book, she shows how to begin living God's agenda for our lives where our dreams and passions intersect. Each bite-sized section includes journaling prompts and room for notes. In Inseparable: Who I Am, Was, and Will Be in Christ, author Ashley Linne explores the book of Romans to answer to question: who does God say I am? This book guides the reader through Bible study sections to discover the truths to be found in scripture and to challenge the reader to apply those truths to her own life. The reader is encourages to look to Christ for approval and significance, rather than to the world. The book includes relatable, real-life stories, and questions for personal reflection and development. The author teaches practical methods of Bible study, and provides a roadmap for developing a Christ-based identity. I received these books for free from the publisher in exchange for my honest review. Do y'all observe Lent? Maybe by giving something up, or adding something? This year Lent is providing the impetus for me to cut out and add some things that affect my physical, emotional, and spiritual well-being. I'm ready for change, and this sacred season is primed for reflection and revision. These are accumulated cast-offs, that we've already decided to get rid of, but haven't taken to the donation center just yet. It hardly seems fair to start so far ahead, so I'll drop these off today, and begin tomorrow. Upon further reflection, I'm not entirely confident in my claim that I'll be able to find 10 things a day to get rid of. 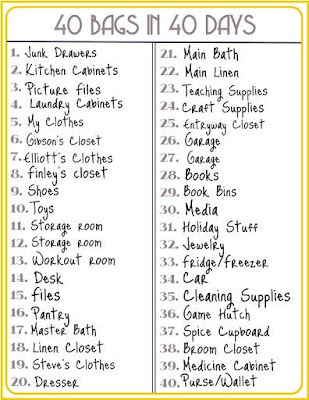 I've been decluttering for a long time, and in recent years, there hasn't been much inflow. But I'm game. I'll declutter at least 10 things a day, Monday through Friday, during Lent. How about you? Join me?